Synopsis: Cate Perry’s future couldn’t look brighter. She’s learning about life on the land, and has just completed her first solo flight over the vast Northern Territory cattle station she calls home. And she’s falling in love – with handsome, gentle Alf. Then a tragic freak accident changes Cate’s life forever. Grief and shame drive her to Tamworth, where she meets the talented Nat and quickly stumbles into a singing career. But fame beings to take its toll, and just when Cate least expects it, Alf steps back into her life. Will Alf and Cate face up to their feelings, or forever live with the consequences? 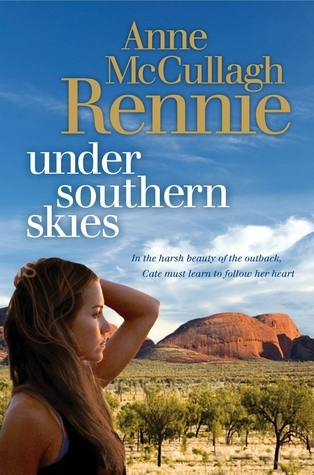 Lyrical, passionate and heartwarming, Under Southern Skies is the uplifting story of a young woman determined to make a life for herself in the sweeping Australian outback. From the dusty cattle stations of the Northern Territory to the vibrant Tamworth music scene, this lively, engaging novel perfectly captures the spirit of the land. Review: Passionate about flying, on Cate Perry’s 18th birthday she is ecstatic about her first chance to fly solo. Her dad, a widower who remarried five years prior, is very encouraging of Cate’s dreams as is her childhood best friend, Alf Crestelli who lives nearby. Cate’s step-mother puts a downer on Cate’s exciting feat and blames her for all her problems and winds up leaving her husband and Cate unexpectedly. Cate blames herself and when tragedy strikes less than a year later, Cate is left orphaned, homeless and alone. Alf’s family welcome her in as one of their own but Cate is determined to reclaim her independence and pursue her other love, singing and playing guitar. Cate sets aside her feelings for Alf and leaves her home in Katherine to move to Tamworth and find out what the Tamworth music festival is all about. Her confidence soars when she is offered a lead singer role in a local band and they are very successful with the help of her talented voice. Under Southern Skies is a coming of age novel about a young, country girl who is trying to find her place in the world. Cate is a likeable character, albeit frustrating at times with her naivety and lack of confidence. It was very difficult to see the distance between Cate and Alf growing, despite their love for each other. The story extends across several years as Cate experiments with her music, her voice, love life and finally re-connects with her love of the land and country lifestyle. We also see snippets of what is going on in Alf’s life which Cate seems to misinterpret. It’s a classic case of … if they only talked to each other (!) they could have sorted things out much earlier… but it was well worth the wait. At first I felt the story was a little choppy, with dialogue and various things in the plot happening quite quickly, but I soon got used to the flow and quite enjoyed this story. Most rural lit I have read usually has an older protagonist, but it was interesting to see young Cate’s confidence grow, find stability and trust herself. The author has quite a few novels that have previously been released and I think I will seek out some of these titles to read. Under Southern Skies is an easy, enjoyable read about a teenage girl pursuing her dreams in the country. Read the first chapter for FREE on Anne’s website. 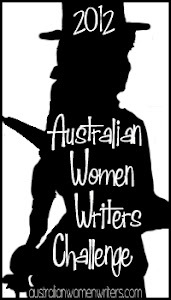 About the author: Anne McCullagh Rennie has written six novels, including Reach for the Dream, Ride With the Wind, Song of the Bellbirds and When Snow Gums Dance, all of which were bestsellers in Europe. Born in England, Anne studied music in London and Vienna and was concert manager with the Royal Philharmonic Orchestra, London, and BBC Training Orchestra, Bristol. She married and moved to Sydney, Australia where she now lives with her Australian husband and two daughters. For more information visit her author website. Thanks for your review. This sounds like rather a gentle book. I was going to say I haven’t read any “Rural Lit” yet, then I remembered I just finished Rosalie Ham’s Summer at Mount Hope. It’s set in the 1890s, though, so I didn’t automatically make the connection. It’s not a genre I’m particularly attracted to, but I’m determined to read widely as part of the challenge, so I’m willing to give it a go. Do you have any five-star contemporary books you could recommend to kick off with? Good question Elizabeth, i’m not sure if i’ve rated any as five stars to be honest. The first book i read in this genre when i first started blogging and writing reviews was Red Dust by Fleur McDonald which i really enjoyed and gave 4 stars (see : my review) and i also enjoyed Rachel Treasure’s The Rouseabout (see : my review). I have a handful of Aussie rural lit coming up for review in the next month or so and hopefully there will be some titles that i can recommend! Otherwise i can recommend some cross over books that fall into the romantic suspense genre but are in a country/ rural setting. 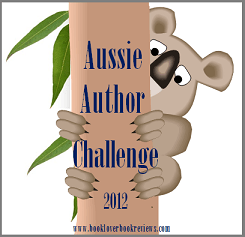 Sounds good Jayne – another to add to my list!